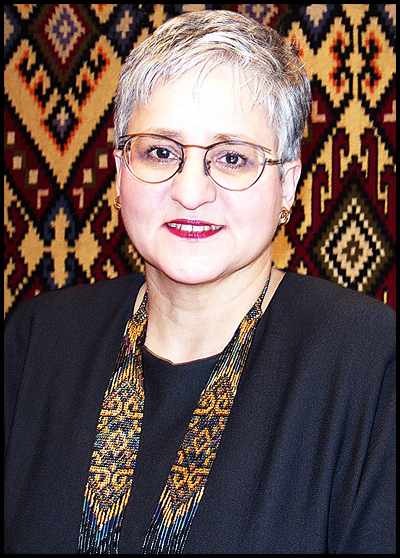 Maria Rypan is a well-known bead artist, researcher and recognized expert on "gerdany", Ukrainian-style of beadwork. Her work is featured in many beadwork publications. Since 1995 Maria teaches, produces a kit line and lectures on beading and global folk arts. Her specialties are netting, unique beadweaving and loomweaving. Maria enjoys teaching and showing how adaptable beadweaving is; how it can change by asking “What IF?”. Her greatest satisfaction is the student’s “ahha” moment.